There's nothing better than a new philosophy collection - it's always guaranteed to combine fun packaging, with amazing fragrances - and very good products. 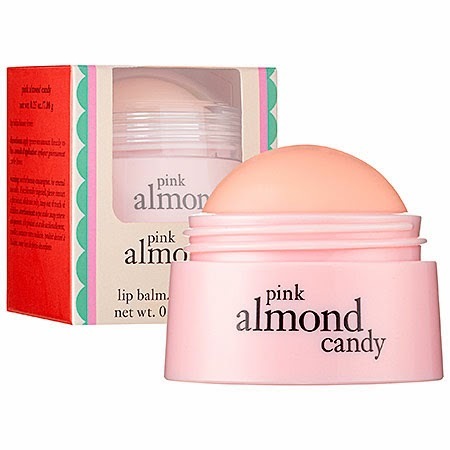 Philosophy Pink Almond Candy Lip Balm is their latest limited edition lip care product and I love it! The scent, on a take on "sweet almonds" is a blend of vanilla, almond and some slight berry-like scents. It's definitely a stronger lip product scent than you may be used to, but I liked the prominence of the scent. The taste is also slightly sweet, again with a nice vanilla blend. As for the moisture, it provided the perfect base for my lipsticks, and although it did need to be reapplied during the day a few times after eating, drinking, etc., overall it did a good job of keeping my lips hydrated and feeling soft.